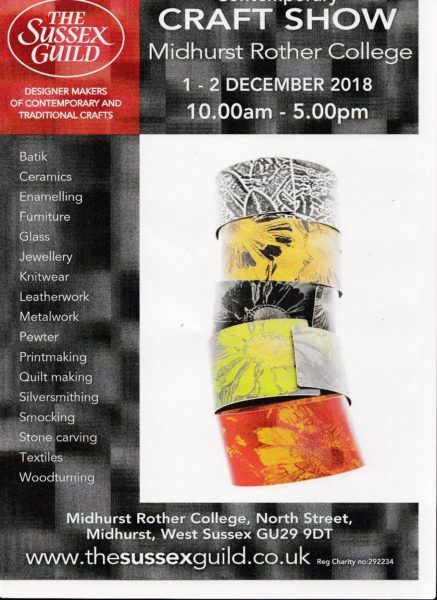 This is just a brief newsletter, to let you know about a new show that I am doing in Winchester next weekend and to announce new course dates for next year. I will probably squeeze in one more communication before Christmas. This show is put on by the excellent Craft in Focus team which runs the May Bank Holiday show at Wisley. 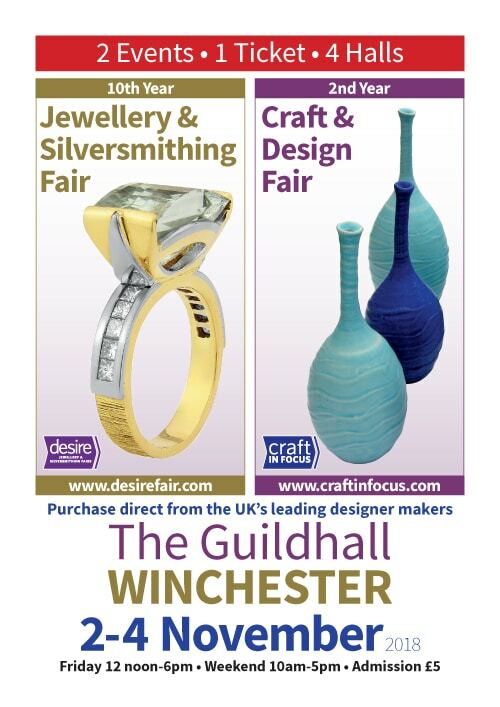 In addition to the craft show, there is a Jewellery and Silversmithing Fair at the same location. One ticket secures entry to both events. This is the biggest and best of the Guild shows, although I may be a little biased since I am helping to run it! Please put the dates in your diary and come along. It’s a perfect opportunity for Christmas shopping. Free tickets will be available for download in my next newsletter. Please find below all of my course dates through to July next year. If you are interested in taking a course, please get in touch and I can let you know availability for particular weeks.